Quality – It can be very hard to determine the quality or the authenticity of jewelry purchased online. When you use your local jeweler, they can explain exactly what you are getting and you know they will stand behind whatever they sell. Sizing – If you are purchasing something that requires sizing, such as a ring, knowing your finger size may not be enough. The size you need may depend on the style of the ring or bracelet. If you get the size wrong, you may end up paying more for the item to get it properly sized. Or in some rare instances it may not even be sizable. Follow up care – Every piece of fine jewelry requires some cleaning and maintenance. A simple steam cleaning and checking your prongs to make sure everything is secure can help ensure your jewelry continues to look beautiful and will last. This is a service that an online store simply cannot offer. These are just a couple of the many things to consider when deciding where to purchase your next piece of jewelry. So before you place an order online for a piece of jewelry that may or may not be what you expect. Please take a moment to stop into your local jeweler. 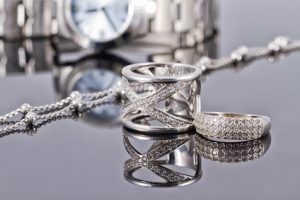 At Amoskeag Jewelers we would be happy to help you select the perfect piece of jewelry that will be an excellent value without any hidden surprises. Are you in the market for a Diamond? This time of year many people are shopping for a diamond. Perhaps you are looking for the perfect stone for a new engagement ring. Or are you looking to trade in and upgrade a diamond that you already have. Whatever your diamond needs are, Amoskeag Jewelers is here to help. 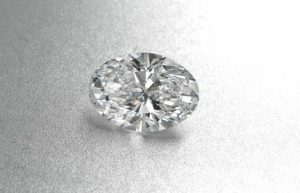 At Amoskeag Jewelers we have an extensive selection of over 60 GIA certified diamonds currently in stock. We offer a large selection of shapes and sizes. If we don’t have the exact stone you are looking for we will be able to quickly get it in so that you can examine it in person. That’s one huge advantage your local jeweler has over online shopping. You get to make your decision based on what you can see in person, not by looking at a stock photo online. After you have found the perfect diamond you may want to browse our extensive collection of mountings to create the perfect one of a kind ring. If you are in the market for a diamond, stop in today and let the helpful staff at Amoskeag Jewelers guide you through the process of selecting the perfect diamond to represent your love. 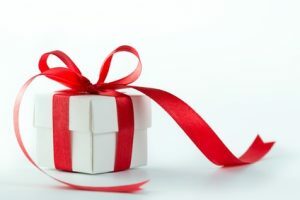 If you are looking for a gift for someone special, put Amoskeag Jewelers at the top of your shopping list. While everyone else is crowding into the mall, come and find a one of a kind treasure that is sure to please anyone you are shopping for. Back to School – Did you Forget Something? By now your back to school shopping list is complete. You have picked up pencils, backpacks, sneakers and socks. You can now breathe a sigh of relief that your young one is ready for another school year. But there may be a couple of items that never made it onto your back to school list. Did you remember to stop at your local jeweler for something to mark this milestone? If not don’t worry we are here to help. Every new school year is a milestone worth noting. One great way to commemorate it is with a new charm bead or an alternate metal fashion ring. Or perhaps you are sending your child off to college. Would a new wristwatch help the college freshman to be on time for class? We can’t guarantee that a new watch will ensure punctuality, but surely every time they look at that watch they will think about the people that love them and want them to succeed in this new chapter of life. 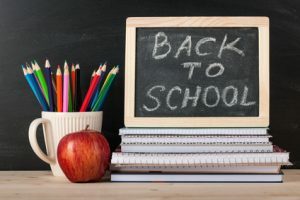 Whatever your back to school jewelry need is, stop into Amoskeag Jewelers today and let our helpful staff complete your back to school list. We have already discussed how many people are looking for small changes that they can make in life to live a more eco-friendly lifestyle. One small change many people never consider is purchasing estate jewelry. We take the time to look for and purchase other items made from recycled materials, so why not our jewelry? Estate jewelry is 100% recycled, it offers a great value and is a green choice. That’s a small change you can feel good about. 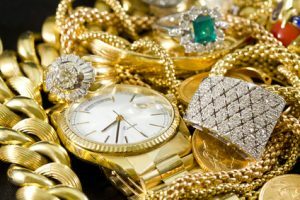 Some people hesitate to purchase estate jewelry because they are worried that it will wear out quickly and not hold up as well as a new item. With all of the estate jewelry from Amoskeag Jewelers you don’t need to worry about the condition. We only sell items in our estate showcase that have been thoroughly cleaned and checked over by our experienced team. If any repairs are deemed necessary, we take the time to repair the item to like new condition. So if you buy estate jewelry from Amoskeag Jewelers you can rest easy. Why not stop by today and see for yourself why estate jewelry is such a good choice? Many people are looking for small changes that they can make in life to live a more eco-friendly lifestyle. One small change many people never consider is selling and purchasing estate jewelry. You recycle all of your plastic and tin cans, so why not recycle your gold and silver jewelry? Many times people have stopped using a piece of jewelry but it is still in good condition and it can be used for many more years. If it still has lots of life to it, bring it to your local jeweler, you will get a little extra cash in your pocket and the item can be passed on to someone else. Or perhaps it has become completely worn out and is beyond the point of repairing. If that is the case, your local jeweler can break it down into its core components and reuse those to make another piece of jewelry. Either way you are helping the environment and that is a little change you can feel good about. If you have some estate jewelry that you are looking to sell, stop into Amoskeag Jewelers today. Our jewelry experts will help you choose the best option to recycle your jewelry the green way.